24 This UESPWikian is 24 years, 9 months, and 16 days old. This user is a member of the Bosmer race. I return with the exciting new release of TESV: Skyrim! New content means new pages and new errors for me to fix! So welcome to my User Page! I'm a veteran of TES series, having played Morrowind, its expansions, Oblivion, its expansions/DLC and Skyrim all on Xbox and Xbox 360 since about 2003, and more recently I've re-explored Morrowind GOTY on the PC, along with a few choice mods. I found UESP on the Internet awhile back and began making edits and getting involved in making it a better resource for people looking for information about TES. I stopped my regular checks and activity for a time shortly after Fallout 3 was released, seeing that most of the articles on the site were mostly complete and most work being done was managerial and above my knowledge of wiki-editing. At that point, I worked on a couple Fallout wikis and dabbled with a COD and a Halo wiki until I got bored and frustrated with the people managing it. I've found UESP to be, by far, the greatest gaming-oriented wiki on the Internet and I think its content, accuracy, and attention to detail speaks volumes for the people that run it. So there's my editing history, I look forward to contributing to the site once again! Oh, and the name was just something I thought would be fun at the time. 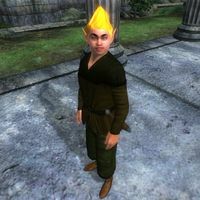 I don't have any crazy obsession with the Adoring Fan, and I actually usually play as a Breton in Morrowind Oblivion, and as a Nord or High Elf in Skyrim. This page was last modified on 17 April 2012, at 06:39.